With their elegant style and timber features, side hinged garage door designs complement any traditional home seamlessly. Whether you choose a manual door or you would prefer an automated system, the side hinged door design offers a comprehensive range of benefits to suit a variety of homes. This side hinged garage door system is typically better suited for larger garages with a longer driveway as the doors swing outwards, requiring plenty of clearance to avoid any obstructions to parking. These three materials are utilised for their durable and hardwearing qualities, manufactured to withstand extreme weather conditions for optimum stability and longevity. There is an excellent range of insulated side hinged doors available on the market today, offering impressive weather protection and energy efficiency. 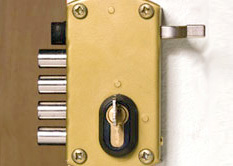 The expert designs provide beautiful finishes and incredible security for total peace of mind. 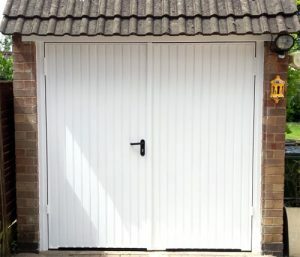 This side-hinged option is best suited to garages with a low ceiling as it requires less space to operate than other designs such as sectional doors. Such a design has significant benefits for regularly used garages as only one side needs to be opened to enter and exit the garage. Remember to check the garage door sizes carefully to ensure they meet perfectly with your existing garage door opening. Side hinged doors made from high quality steel are galvanised and painted using state-of-the-art techniques and paints designed for superior longevity. This provides you with an incredibly hard-wearing and durable solution which is very easy to clean and requires virtually no maintenance as it will never rot or rust. The mechanism itself may require regular maintenance, especially if the door is used frequently, to ensure it remains in top working order. Top quality security measures are extremely important to ensure your vehicle and other garage contents are kept well-protected from thieves and possible burglaries. Make sure your side hinged door design has an inbuilt, fully functioning locking system as standard so you can rest assured knowing that all your possessions will be completely safe. Further to this, it is strongly advised that you implement the necessary measures to protect the contents of your garage against the effects of extreme weather conditions by installing a garage door weather seal. For ultimate convenience, it is possible to automate a side hinged garage door using either swing arm conversion kits of hydraulic/mechanical operators. If there is no pedestrian entrance to your garage, make sure you remember to fit a manual release in case of an emergency. 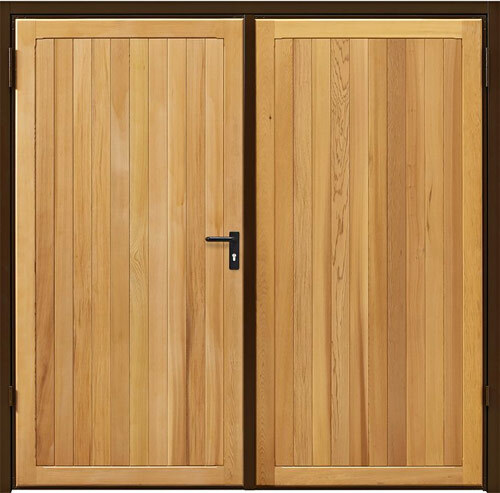 Further to this, bear in mind that you will also probably require a relatively powerful operator as, during operation there are more forces applied to side hinged doors, especially during windy conditions. There is an extensive range of brands and models available on the market from the leading garage door manufacturers which are guaranteed to cover all safety and functionality measures. Here at Wessex Garage Doors, we stock an extensive range of premium quality products designed by leading garage door manufacturers Garador and Cardale. The selection of side hinged garage doors created by Garador and Cardale combine robust and reliable performance with easy personal access. They are available in a wide range of steel and timber styles, initially factory finished in white as standard with a choice of optional colours and a selection of stain finishes. A traditional timber side hinged door garage door can complement any style of home, providing a welcoming and elegant appearance. Here at Wessex Garage Doors, we offer a comprehensive range of wooden side hinged garage doors available in cedar, pine and hemlock to suit any design, taste or budget. Our team of technicians have the knowledge and skills to carry out thorough installations, guaranteeing high standards of safety and performance. Simply give us a call or send us an email for further information or to arrange an appointment.